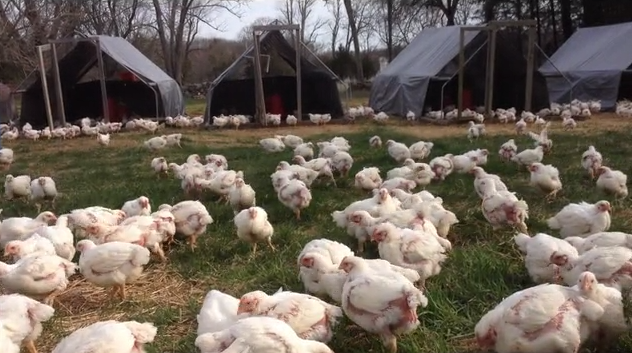 Chickens roam free and eat grass at Pat’s Pastured on Briggs-Boesch Farm. For the past several years, we have been purchasing Pat’s Pastured products at our local farmers’ markets. From their farm in East Greenwich, RI, they raise pigs, sheep, chickens and cows to produce grass-fed beef and lamb, free-range eggs, pastured-raised pork, and, of course, sausage and bacon.